The woman was consumed by rats. For her struggles and courage she is rewarded with pink, pattering feet and flies. The victims of hurricane Katrina suffered needlessly under the sun while awaiting the President’s response. Overcome by shock and sorrow, Anderson Cooper blinks his watery, blue eyes and informs viewers of the dead. I would recommend Dispatches from the Edge to young readers especially, as it explains the history of various past disasters, discusses the importance of mental health, and serves as an inspiring coming of age story. 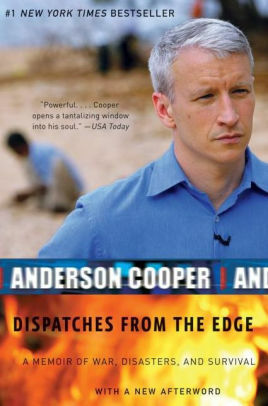 Anderson Cooper has been my favorite reporter since I was nine years old. Intelligent, articulate, and raw in everything he creates, I was ecstatic to exist in his world. The moment my family and I finished opening Christmas presents I flipped to the first tan page. I quickly found it was impossible to merely exist in the world of Dispatches from the Edge. From the death of Cooper’s father to his team’s discovery of an abandoned dead woman after hurricane Katrina, every emotion wrapped around me like a fast, broken car round a streetlight. Unintentionally promoting activism across the globe, the book will not only change the way one understands news media, but the way one understands the world. Born in May of 1998 I knew little of the horrific bloodbath that was the Bosnian War. If the worldly struggles of the memoir do not move you, the personal struggles of Mr. Cooper shall carry you away. 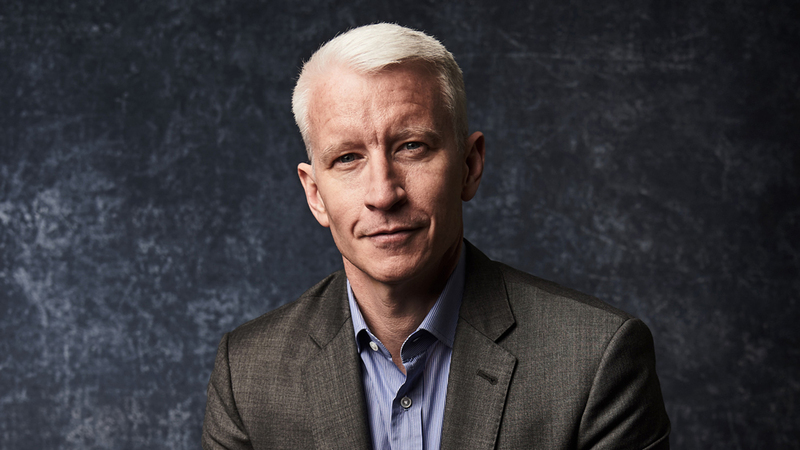 “I was ten when my father died,” are the emotional words which begin readers’ journey into the life of Mr. Anderson Cooper. Each chapter contains a personal memory of that informs the readers of Cooper’s past while connecting him to victims in various countries. He spent years worrying how to provide for his mother after his father’s death. Anderson and his mother were tragically destined to face the world together, or alone. Carter Cooper committed suicide in front of his mother, jumping off of a building. Perhaps it is this tragic loss which prompts Anderson to tell the struggles of others. On page 46, Anderson states a need to report, and travel where, “the pain outside matched the pain I was feeling inside." Addressing war, death, anxiety, and depression, I believe Dispatches from the Edge is a highly informative memoir in various categories. I would recommend this book to young readers especially, as I personally learned so much of past global conflicts. Dispatches from the Edge could be a fascinating textbook in various historical, political, and literature based classes. Dispatches from the Edge explains the history of various past disasters, discusses the importance of mental health, and serves as an inspiring coming of age story. Page 207 incredibly summarizes humanity’s (especially young adult’s) mutual fear and fascination of danger. News can be seen at all times in books, blogs, or television but rarely do reporters make a lengthy, personal connection to their audience or those they interview. Not only does Anderson humanize the victims of such tragedies, he humanizes those who report of it and in doing so, the emotional pull of reporting is laid out for all to see. This informative and soulful book is captivating and compelling, and it was certainly an unforgettable Christmas present.